As I indicated at the end of January, in this post, I have signed up to take part in the April A-Z Blogging Challenge again. The 372 of us that had signed up then have grown into over 1500!! Here I am the day before the challenge starts with 26 blank blog posts scheduled so I best get thinking about what I’m going to write in them. 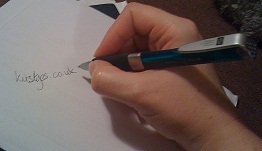 I am planning to stick to topics relating to my work in progress – A YA Novel – ‘Training Time’. I don’t want to give too much away so the posts will be relatively short. But I hope you find them interesting. I’ve just sent the first chapter and synopsis into a competition and I’m looking forward to picking this back up again and adding to the 60,000 words I stalled at in November. I’m also looking forward to reading some new blogs (sorry don’t think I’m going to be able to manage to visit all 1500+) as well as those of my Besties taking part in the challenge again. Good Luck everyone. Happy Alphabet Blogging. 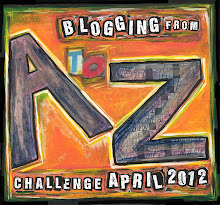 Posted on March 31, 2012, in April A-Z Challenge, Kirsty rambles on about life, the universe, tv, and everything!, Training Time (WIP) and tagged A-Z 2012. Bookmark the permalink. 1 Comment. I’ve just started planning my posts and it seems most of them will be character related – so you’ll get to meet the people from my mind! !